Seat bottom ... 51 1/4" X 17"
10x3 1/2" and also 1 5/8" from bottom bench bottom. 2 small blocks are 4x1 1/4" in size. 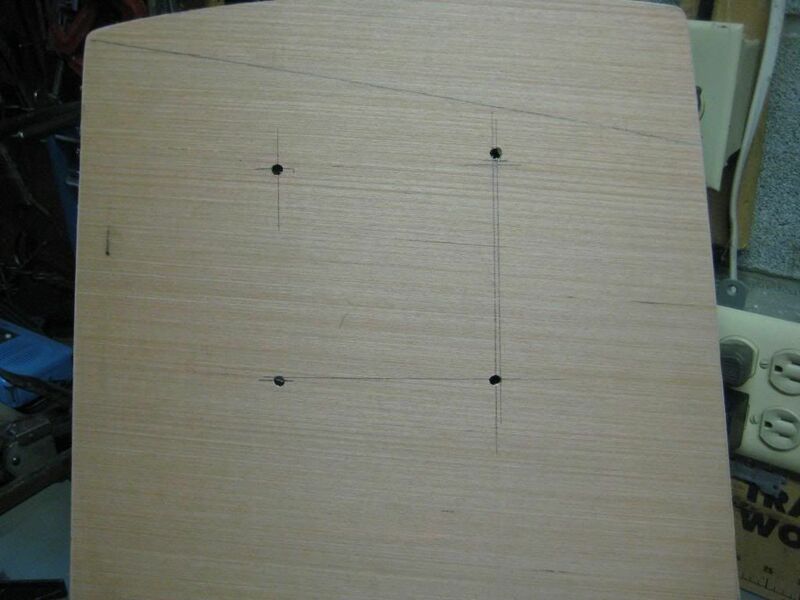 They are 33 1/4" from each other and 2 1/2" from outer edges. While some of you are winterizing your crafts and celebrating the end of the boating season I have been out in the garage working on my Glastron. It seems as if winter is the only time I have to work on it. I've taken one of the seats out of the '78 CVX 18 and tore it down to make patterns from. I took pictures but I put them in slide show form. Let's see if this works. Just click on the picture to take you to You Tube . 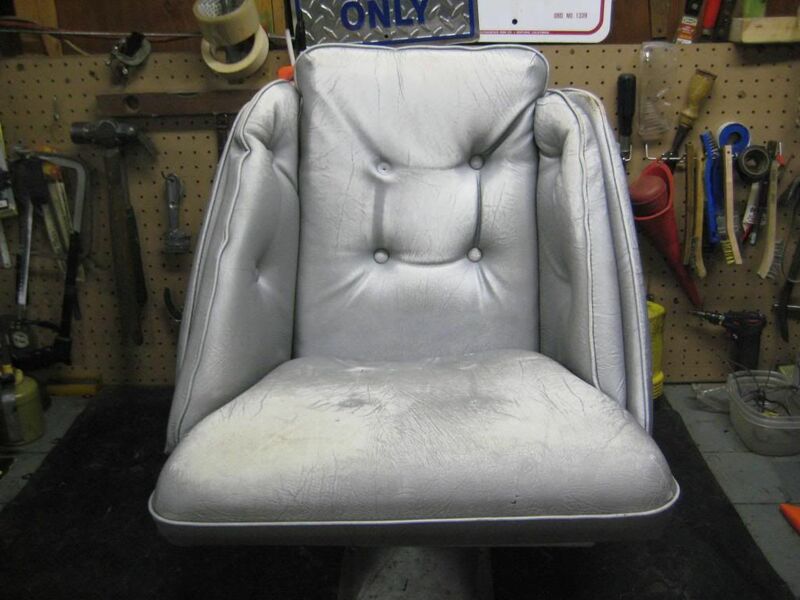 It was a bit chilly this morning out in the garage (where the CVX is at ) so I went down to the basement and dug out my boat seat reconstruction project. 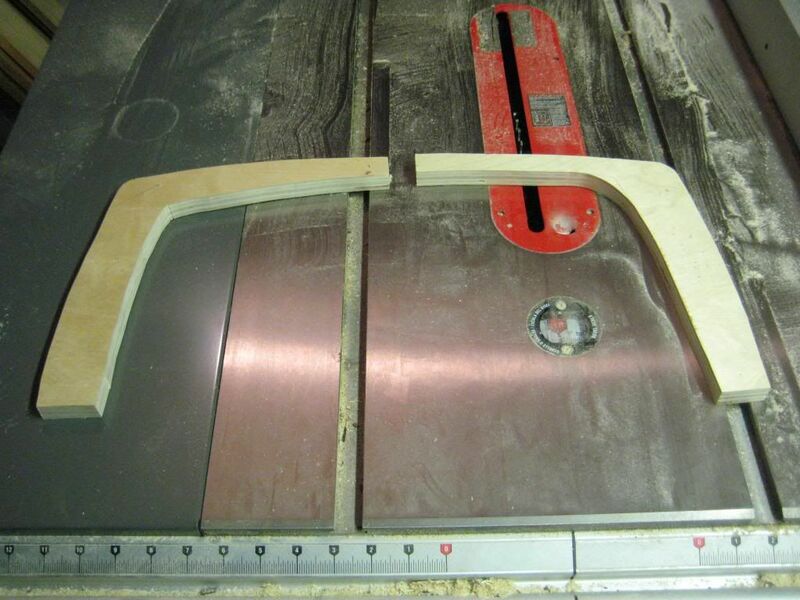 Previously I tore down a front seat from a CVX 18 and made some patterns to replace the wood. Last fall I cut out the seat back and sides but that was as far as I got. Yesterday I cut the seat and cushion bases and today I put it all together. You can follow along with the pictures below. then tried a 1 piece brace thinking it would be stronger. The factory used 1/2 in. plywood but I made them with 3/4 in. thinking there will be a little more support. NOTE:The one piece brace was made wrong. 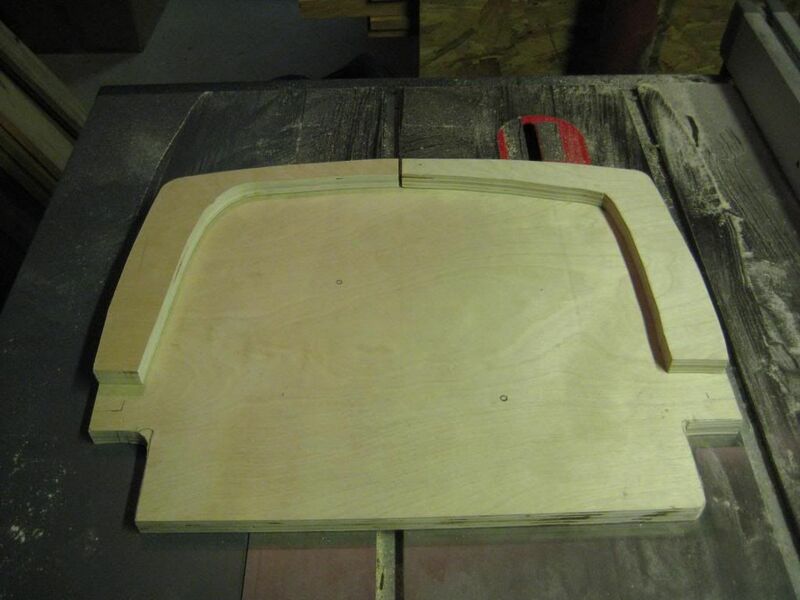 The wider part should go toward the seat back and the narrower part goes toward the side of the seat. Here I'm fitting the braces to the seat base. 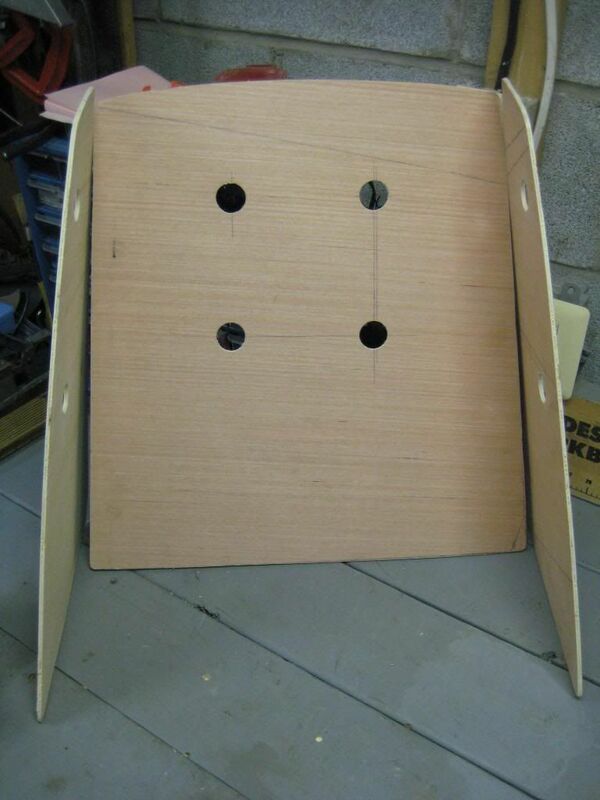 Cut out the cushion base and use that along with the back braces for fitting. I cut the cushion base after attaching ( with glue) the braces and as Murphy would have it nothing fit. I needed to trim the braces so the cushion base would fit. Butcher would be a better description than trim. 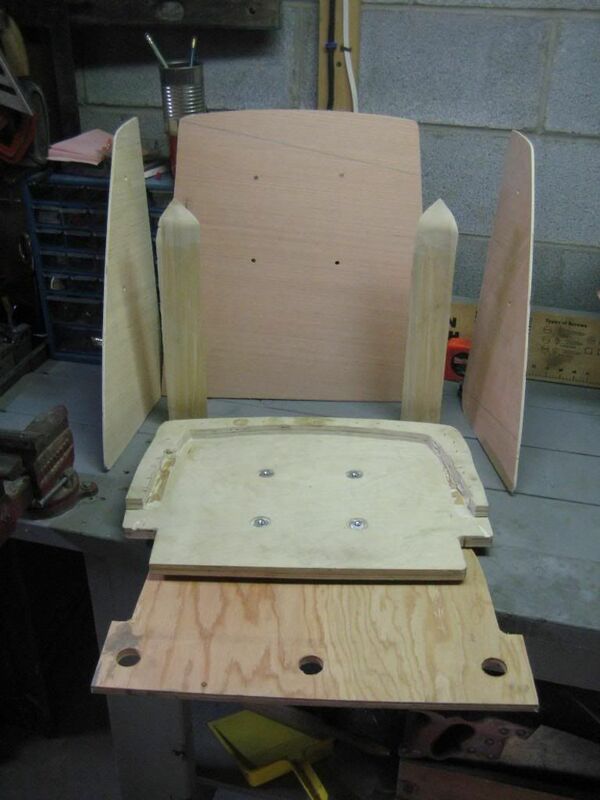 Note: The braces didn't fit because I cut/installed the wide part toward the side of the seat. That's why I needed to trim them to fit. 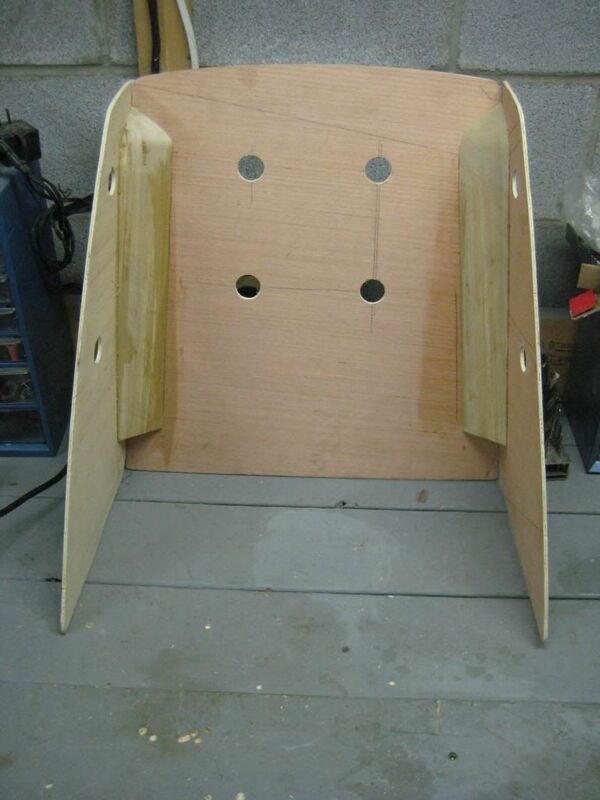 Instead install the wider part toward the back of the seat and the narrow part toward the side of the seat. 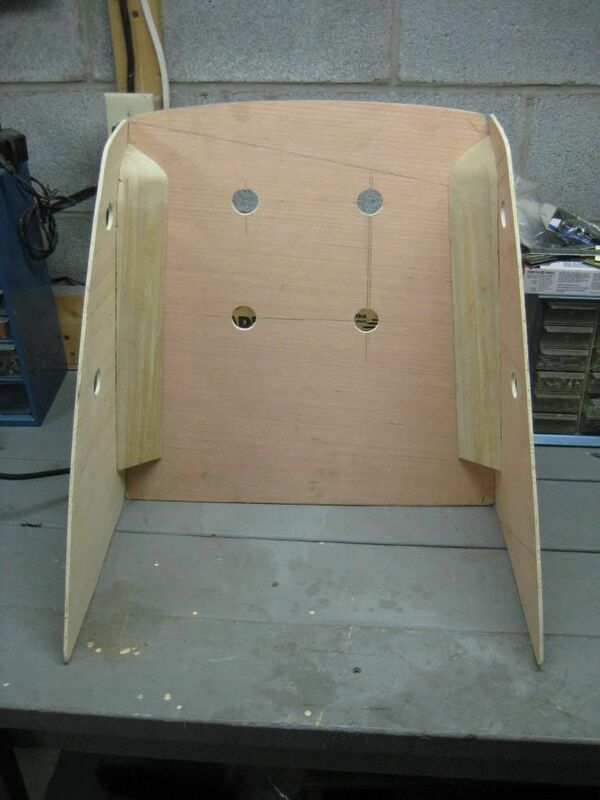 Here I'm mocking up the back corner braces. It looks as if everything is ready to assemble. 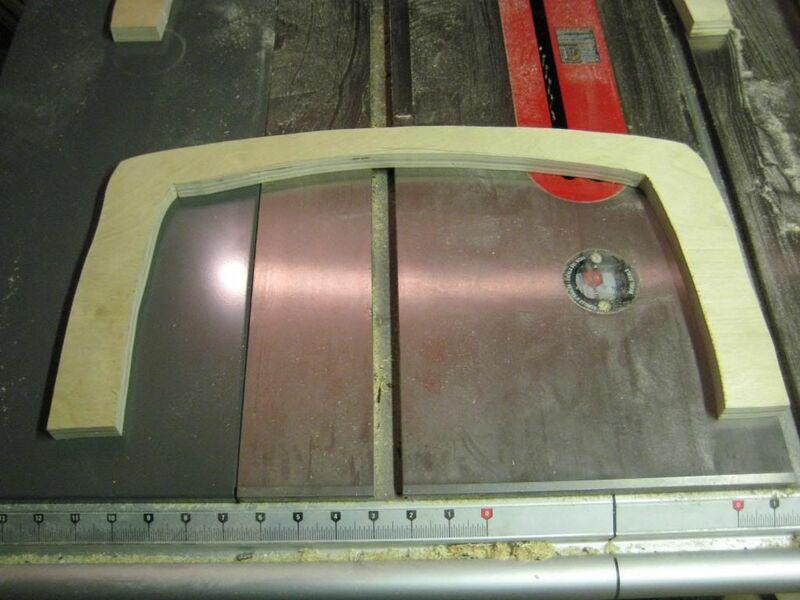 The tops of the corner braces were cut 45 degrees and beveled, as they were at the factory. I recessed T-Nuts into the seat base instead of using factory style hex nuts. Checking the top right button hole I found it was misaligned about 1/4 in. I thought I mismarked the pattern or just messed up while drilling. I checked the picture I took at teardown and saw how the top right button on the back is higher than the others. It could be that the top left button is lower, who knows. I then looked at the other seat (the one I didn't tear apart). Both front seats from this boat have the uneven button. The error was the factory's not mine. I enlarged the holes so the buttons will fit correctly. All glued and screwed. Just waiting for the glue to dry. I did use screws along with the glue. Here they are. 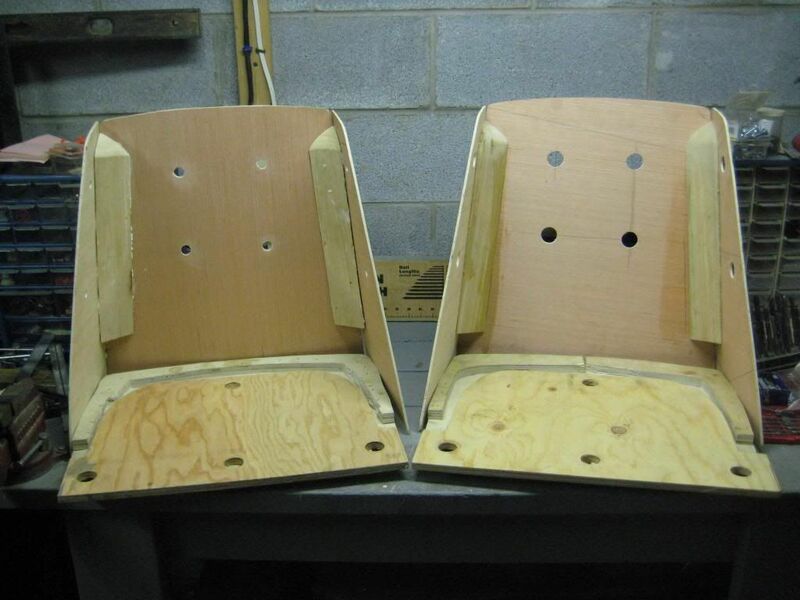 A pair of seats just waiting for their turn at the upholstery shop. You can screw the backs to the base at this point, however I'm going to steam the backs to make it easier for them follow the curve of the base. 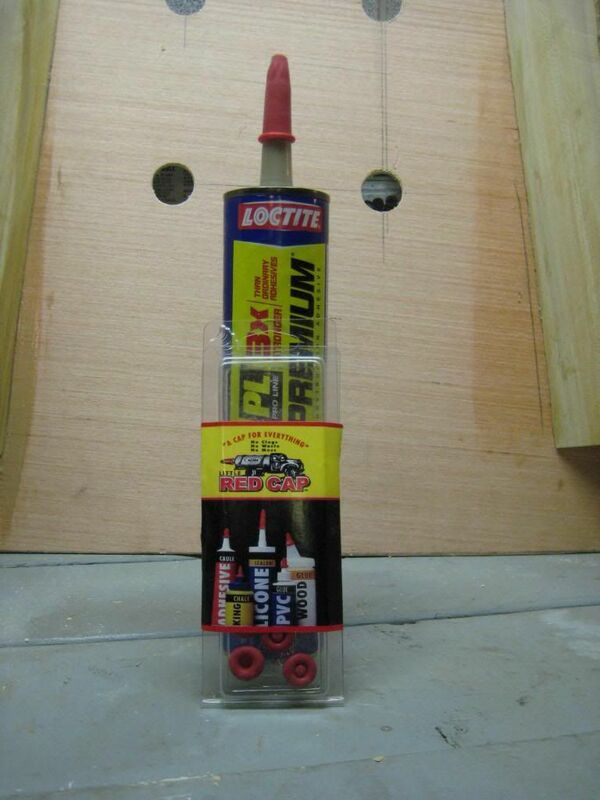 To keep the glue fresh until my next project I sealed the tube with "Red Caps". I found them at Ace Hardware. Go ahead and laugh I know what you're thinking. 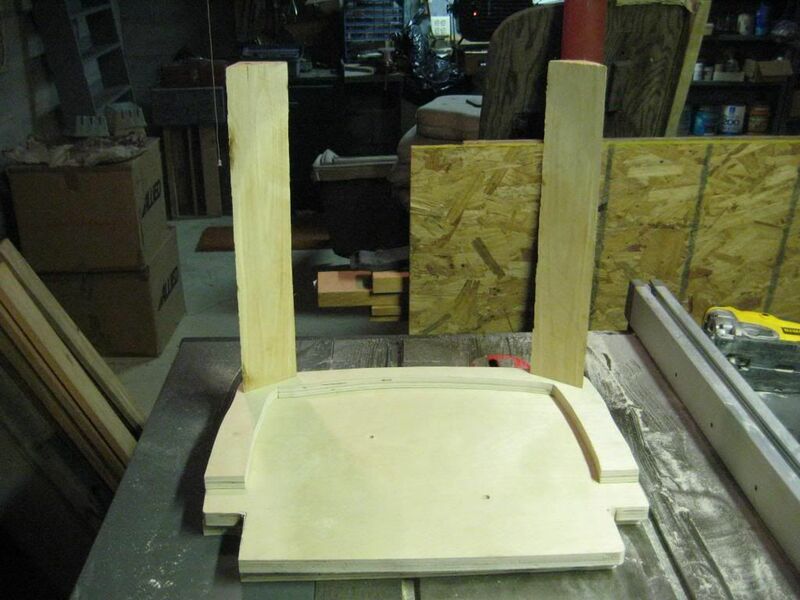 CVX 18 Seat Build_ cont. Scott's CVZ Button seats ..
My pleasure! I'll be making the rear bench cushions starting in about a week!